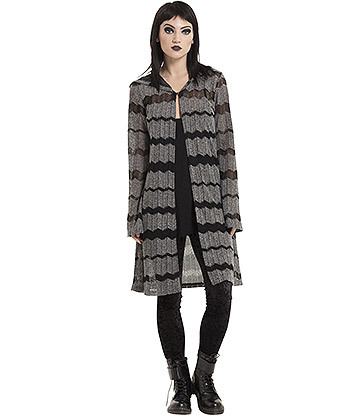 The cold winter chill is certainly here, but that doesn't mean your fashion has to suffer! Whether you really want to dress down and relax in your most comfortable clothing, or take it to the next level with a fantastic dress; we have you covered. 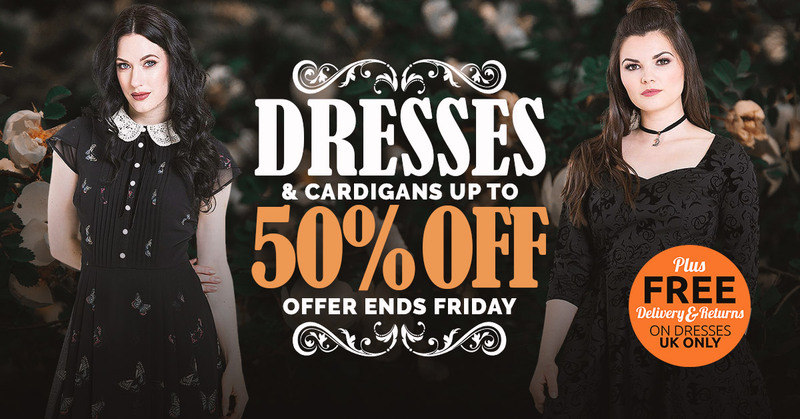 This week in particular we are offering up to 50% off our range of alternative dresses and cardigans! 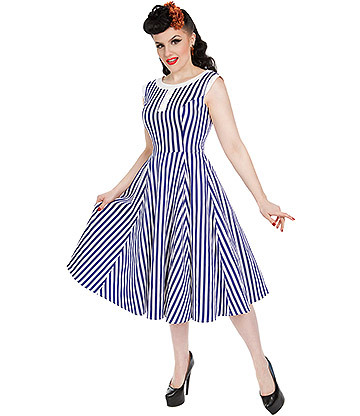 Plus, you can also take advantage of FREE UK Delivery on our entire dress range! With cardigans on sale as well, there's no doubt that you can match up these garments and create a brand new winter dress outfit for 2019. Depending on what you're looking for, we can point you in the right direction. 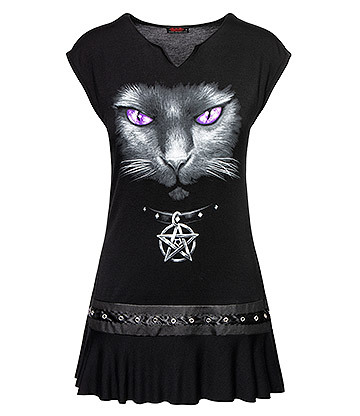 At Blue Banana we stock some of the most alternative brands in order to quench your edgy clothing needs! 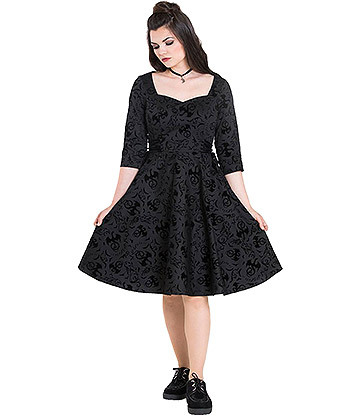 Keep reading and we can talk you through some of our newest Gothic dresses, Vintage dresses and women's cardigans. 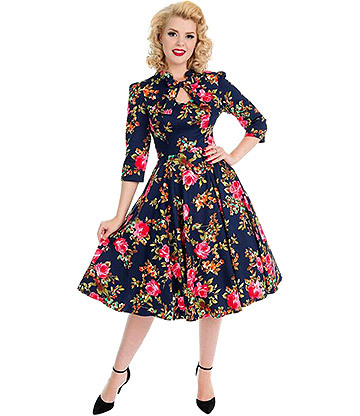 If bright floral patterns or elegant and formal inspired tea dresses are your thing, then get ready to take a step through our range of vintage dresses. 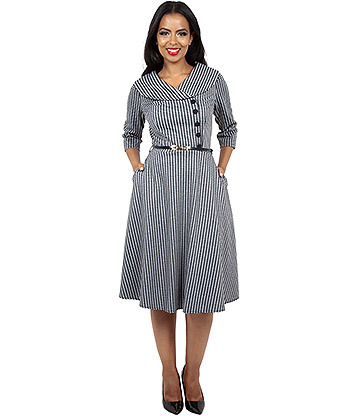 From gorgeous tartan pencil dresses to even classic steampunk styles; our dress collection has it all. 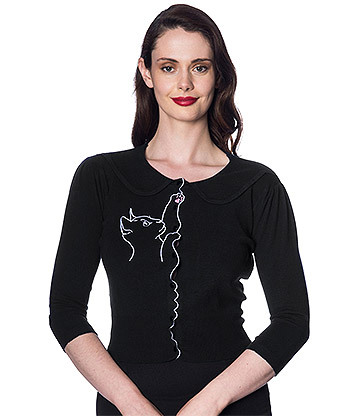 Within our 50s Dress range we stock some of the most popular alternative brands including Voodoo Vixen and H&R. One of our favourite dresses to arrive on our web store is the Voodoo Vixen Ella Tartan Flared Dress in Green. 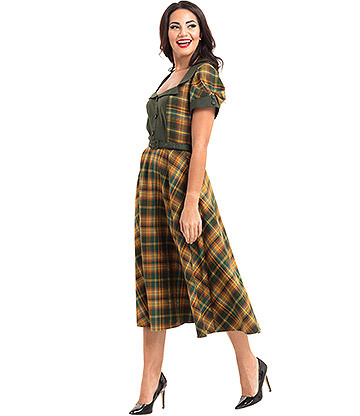 This amazing vintage dress features a classic green and mustard tartan print and a retro flare finish! Fancy something more alternative for a special occasion? 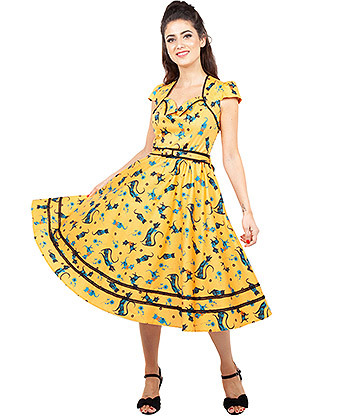 Then be sure to see the Voodoo Vixen Savannah Mustard Cat Dress here with 33. off and free UK delivery! 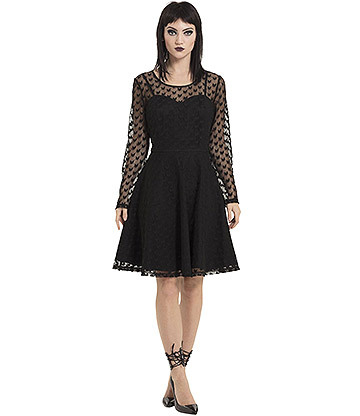 See more of our discounted dresses here. View the full range of dresses here!